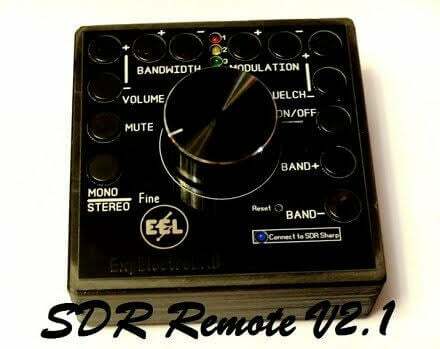 Back in August Maxim who runs his small company "ExpElectroLab" wrote in and shared with us news of his upcoming product called "SDR-Remote" which is a physical tuning knob and control panel for SDR#. The heart is ARDUINO NANO V3.0, buttons, encoder and software. Maxim hand builds these in his home country of Russia, and has noted that since the case is 3D printed he can only create a few per week at the moment. 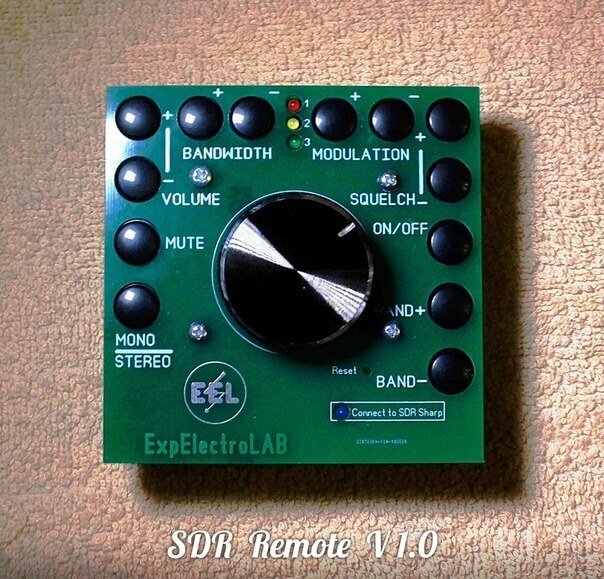 The knob interfaces with SDR# via an Arduino driver and SDR# plugin which can be downloaded. Over on YouTube a Russian reviewer has uploaded a video showing SDR-Remote v2.1 in action. The video is narrated in Russian, but YouTube auto-captions combined with auto-translate does a decent job. Пульт для SDR-приёмника и SDRSharp.